What a lovely kimono! I like the hand stitching around the edges. I have a similar pattern in one of my books, only it's cut in one piece, kind of hard to explain but it's one of my favorite things to make for my shop. Kumi certainly has some wonderful things in her store! Amanda it is GORGEOUS! Lucky little baby. The kimono is so beautiful. That is a really wonderful gift. That's adorable, love the fabric. 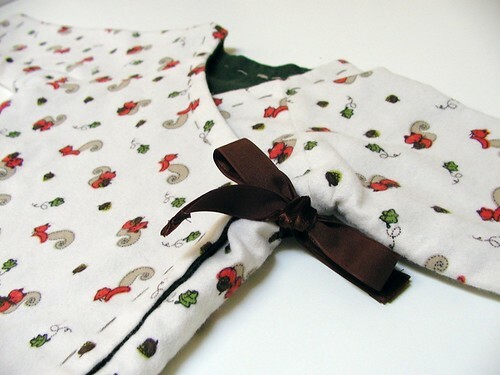 what an adorable kimono, love the fabric! Oh I love it, it's so cute. 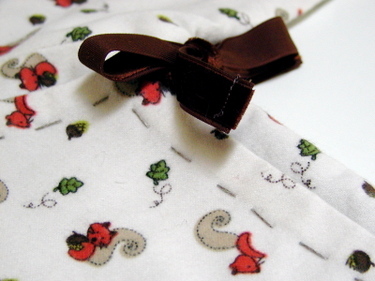 Could you tell me where you got the squirrel fabric?